The Puget Sound Edible Democracy Project seeks to produce an edible education exchange program among late elementary students from three communities (urban, suburban-rural, and tribal) in the Central Puget Sound Foodshed. This initiative was launched in 2012 through community partnership led by the Center for Programs in Education at Antioch University Seattle. 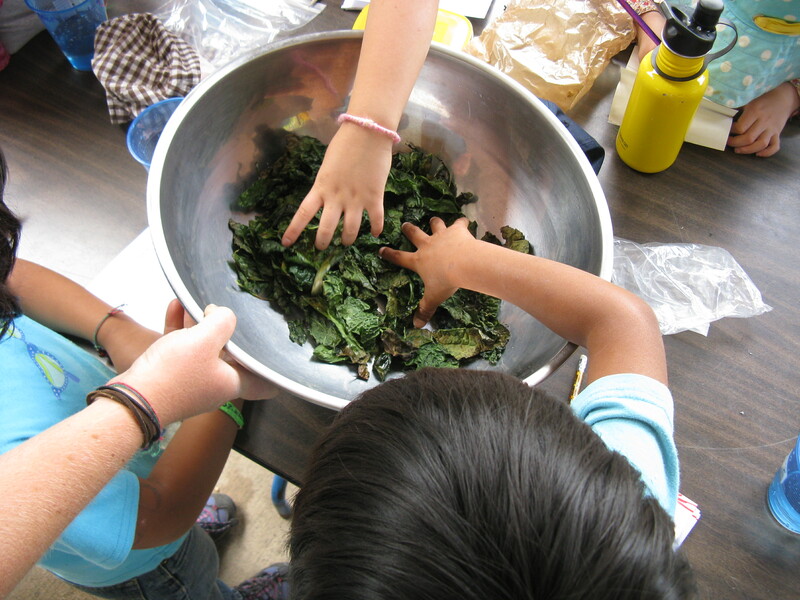 This Inter-Cultural & Inter-Community Edible Education Pilot Project represents a new frontier in the Puget Sound Region and beyond – an educational experiment in cultural democracy surrounding our local food communities and common foodshed. In order to truly build equitable and healthy food systems, communities must learn to work together. Collaboration is a vital part of advancing local and regional food systems. 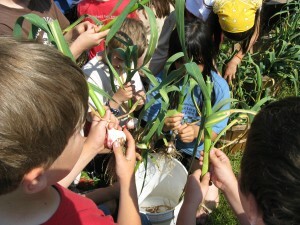 The opportunity to build awareness, knowledge and engagement around community food systems, youth based education and cultural competency through a peer to peer learning relationship, such as the one we are proposing, would be ground breaking in bringing together urban and rural landscapes and urban and suburban communities. We will be charting new territory across social, cultural, ethnic, economic, educational and agricultural boundaries. This community learning project would serve as a basis for collaborative models in our bioregion and beyond in addressing social justice, economic and equity issues within the food movement, school reform, and other important societal arenas. The edible exchange program will bring together school and community partners from island, tribal and urban landscapes in our Puget Sound foodshed, including Bainbridge Island, Suquamish, and Seattle. Together, we plan to utilize this partnership to enhance and expand each of our respective programs, while leveraging a collective effort to address vital issues and concerns we share in the Puget Sound region. We seek to model the model, by sharing the knowledge and experience gained through this partnership to inspire and train other organizations on how to build equitable and efficient collaborations in rural-urban food, farming, and education programs. The educational value of the project alone is tremendous. However, it is the hope of the partner organizations that this experience will lay the foundation for a long-term collaboration that will serve to develop viable and equitable community food systems, educate and empower youth, transform communities, and keep our local history and cultural heritage alive. Listen to Jon Garfunkel (EduCulture Director) and Ed Mikel (GSE Board Member and Antioch University Seattle Faculty) discuss Edible Democracy with Seattle restauranteur Tom Douglas and chef Thierry Rautureau on a KIRO Radio 97.3 FM “Seattle Kitchen” show that aired September 21. Follow this link to hear the interview; the segment featuring the topic of Edible Education begins at 20:00.